Thank you Vera Godley for the Lovely Review of Mice and Spiders and Webs…Oh My! 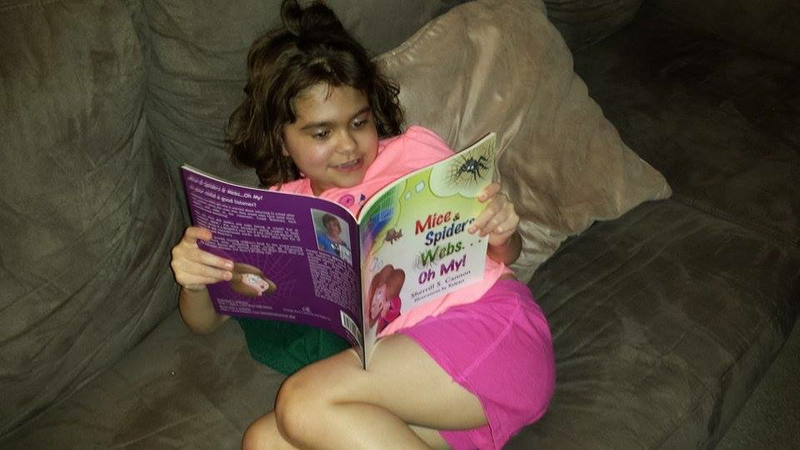 Thanks to Vera Godley for her lovely review of Mice & Spiders & Webs…Oh My! on her blog… This is also a Giveaway, so please take a look!!! “My thoughts: It is hard to imagine a child, even a small child, in today’s world not recognizing terms such as mice, spiders, and webs without immediately recognizing them as computer connected terms. 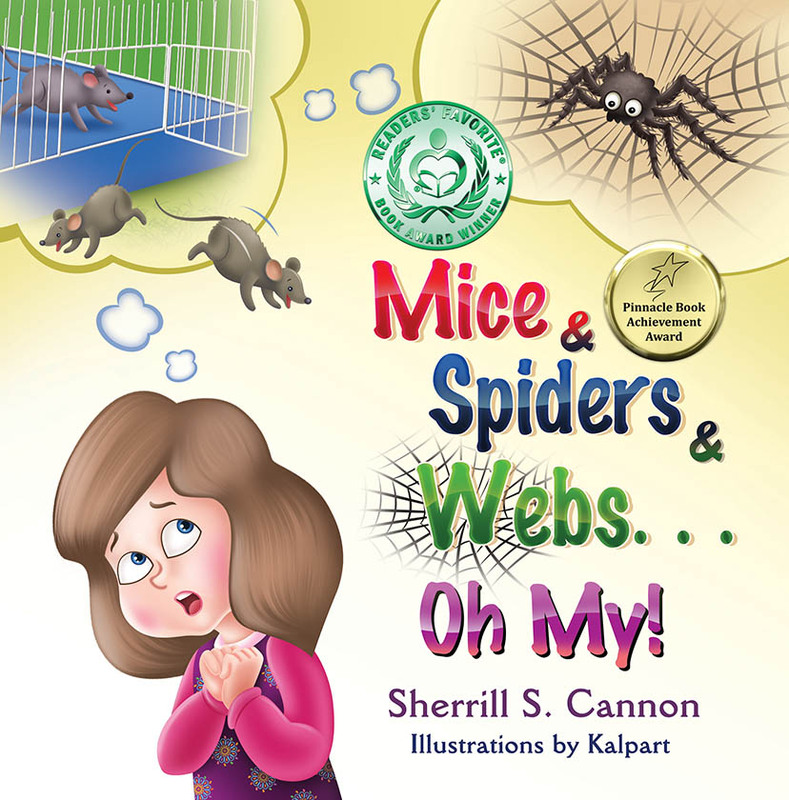 However, Sherrill Cannon has presented just such a story with a young, school age girl who is now afraid to go to school because the teacher said that “today” there would be “mice, spiders, and webs” at school. Written in rhyme, this cute book is fun to read and Rosemary is adamant that she will not go to school with mice, spiders, and webs. The case in point is that the young girl simply wasn’t listening closely and assumed from what she “heard” that real live mice and spiders would be there. And of course, she didn’t want to be around these creepy critters. She does go to school and she is reconciled to learn that her teacher was introducing them to computers. So now she knows that it is important to listen well to what is being said. The little book is also an introduction to the world-wide “web” and use of mice (computer mouse), and spiders that creep and crawl along the WWW. Nicely illustrated by Kalpart, children will enjoy this story and learn a bit, too. ENDS January 18, 2016 @ 12:00 a.m. ET. Open to USA addresses only. This entry was posted in Award-Winning, Behavior, Children's Picturebook, Computer speak, Computers for Kids, eBook, Good Listening, Picture Book, Review, santa's birthday gift, sherrill s. Cannon, Uncategorized on December 31, 2015 by Sherrill S. Cannon. This made my heart smile, since I truly believe that children’s books should teach values such as consideration for others and being kind…and following the Golden Rule. Please pay it forward!! This entry was posted in Uncategorized on December 21, 2015 by Sherrill S. Cannon. 15,216 Hits on the MotherDaughterBookReviews Book Blast Giveaway! This entry was posted in Uncategorized on December 11, 2015 by Sherrill S. Cannon. This entry was posted in Children's Picturebook on December 1, 2015 by Sherrill S. Cannon.